Do you want to expand your audience? Diversify your revenue streams? 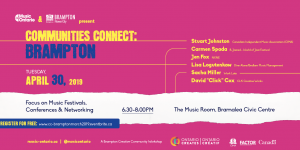 Expanding your programming to include Indigenous, racialized and other diverse artists and their audiences is a great way to grow your reach as a venue or programmer - but we know there are risks involved. Let’s discuss ways of mitigating risk when incorporating inclusive practices in your programming. Programmers and Venue Operators are welcome to join us on November 28th at the Parkdale Library. Attendees are encouraged to actively participate in this facilitated group discussion and work on strategies we can implement together. This Programmer Workshop is part 2 of 3 in a series of events hosted by Polyphonic Ground to address challenges in implementing inclusive practices in live music programming. Inclusive Practices in Programming Part 1: Musicians Workshop Are you struggling to break through to programmers in Toronto? Share your experiences and insights in trying to secure gigs. Indigenous, racialized and other diverse musicians, music managers and agents of all styles are welcome to join us on October 16th. We want to know what barriers you are facing, what is working when you do get gigs, and develop strategies to promote change for your fellow musicians. Attendees are encouraged to actively participate in this facilitated group discussion - so, please come ready to share your stories, ideas, and listen to each other. This discussion will be used to devise strategies to encourage more inclusive programming practices with Toronto promoters & venues. This workshop is a safe space for anyone identifying as Indigenous, racialized (i.e., people of colour), the deaf, disabled and mad, LGBQT2 and others who self-identify as marginalized. Following these conversations, Polyphonic Ground will facilitate a 'speed schmoozing' session to introduce culturally diverse artists from different genres and experiences, to programmers. Five-minute one-on-one meetings between performers, agents and bookers will kick off new relationships and explore new programming opportunities. The lack of gender and cultural pluralism reflected by the larger Toronto music industry has been a hot topic of late. Ad hoc conversations around these issues have taken place at recent panels and forums focused on topics such as venue closures, noise bylaws, the media etc. 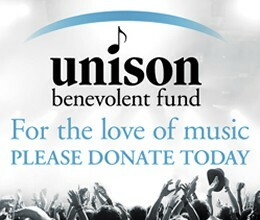 However, there have been few opportunities to work together to build new models for music in Toronto and to explore how inequities can be addressed. 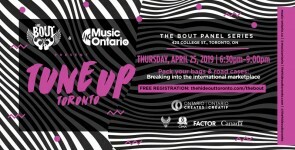 Small World Music and Polyphonic Ground, in partnership with Lula Music & Arts Centre, MusicOntario, City of Toronto, Music Canada Live and Cultural Pluralism in the Arts Movement Ontario (CPAMO) will host a series of industry events to tackle these big topics about diversity in the live music industry. At these events, we want to hear from you about your experiences, insights, questions and possible strategies for change. The organizers wish to provide safe space for respectful and inclusive conversation. By attending our event, you agree to: Respectfully listen and actively participate in the conversation. Understand that there is zero tolerance for intolerant behaviour. Be positive, non-judgmental and open to new ideas. Respect all participants regardless of their cultural heritage, creed, sexual orientation, age, gender etc. 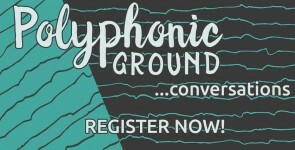 Polyphonic Ground Conversations: Inclusive Practices in Programming - register now for this 3-part series!